The Fuse Alumni Tour is back in 2019! We’re visiting alumni from Cohorts 1-3 around the state to catch up with them in their current roles and spotlight their work. Follow the hashtag #FuseRIAlumniTour for more updates. Darshell Silva is the Librarian at Quidnessett Elementary in North Kingstown, RI. Follow her on Twitter @Darshell and check out her Fuse Fellow profile for more information. Arguably no school-based role has shifted in the past decade or so as much as that of the librarian. Library media specialists, as many are now titled, frequently wear so many hats that keeping up with their expertise and abilities is dizzying. Darshell Silva, one of our Cohort 2 Fellows and a library media specialist herself, is no stranger to this experience. Darshell Silva teaches students at Quidnessett Elementary School in North Kingstown, RI where she works as a librarian. This is Darshell’s first year in North Kingstown and she’s already making her mark. She is assisting the district’s librarians as they rewrite curriculum using standards from CS4RI, AASL, and ISTE. In her library, amongst other duties, she makes sure she does some type of coding activity with every student from K-5. With students in older grades, who have access to 1:1 devices, she’s able to facilitate even more creative applications through coding. 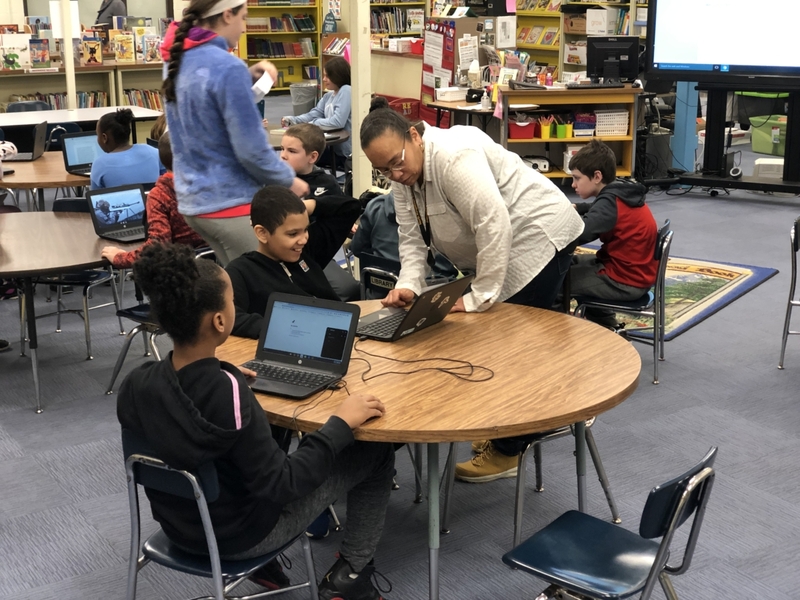 Her students are loving Breakout EDU’s digital breakout offerings that provide a chance for students to practice their critical thinking skills – in any subject area. Darshell has a vision for her library as a hub within the broader education space of a school and community. To her, libraries are central zones that are safe spaces for learning, creating, and bringing in new opportunities for students and teachers alike. 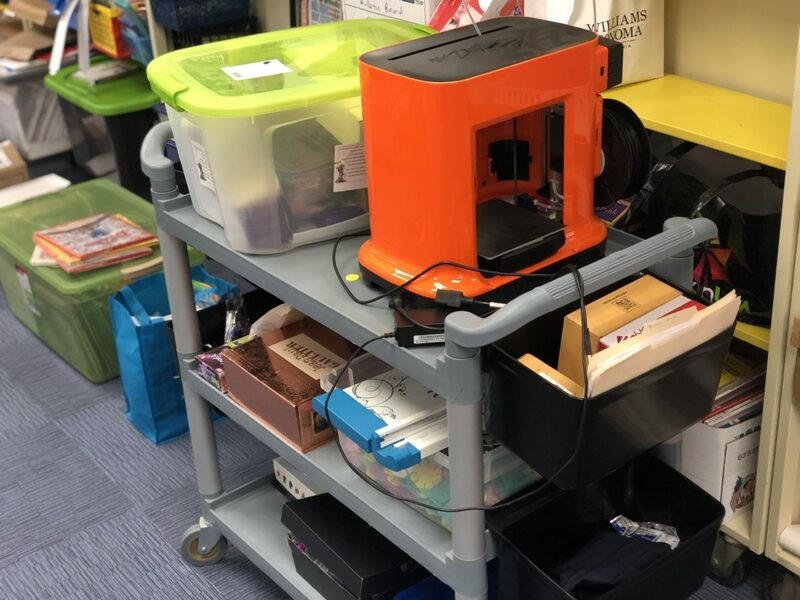 In practice, that means she’s designed a mobile makerspace on a cart that allows her to share materials with any classroom. Darshell’s “library” is not just one static space – it’s flexible and able to push into all areas, with ANY space viable for learning. Beyond her school walls, Darshell feels she has a good view of building and systems-wide approaches. She’s involved in micro-credentialing for RISTE. She is on the nationwide ISTE STEM PLN leadership team, which includes supporting curation of posts as a community champion and writing special blog posts of her own. 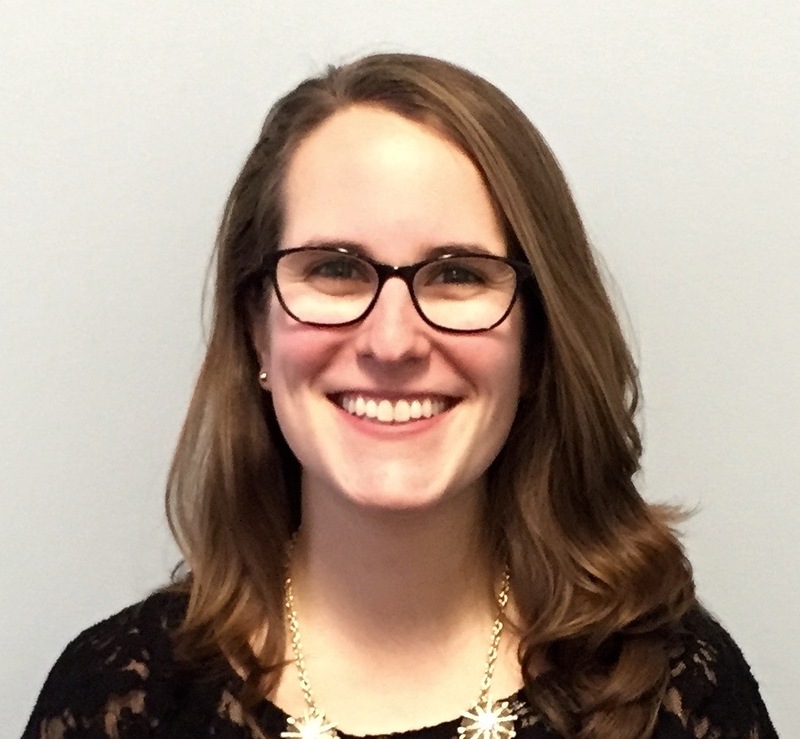 In addition, she continues as an active RISTE board member and delivers a variety of TeachersFirst professional development sessions – spanning webinars, chats, and pieces on their Infusing Technology blog. When asked what sticks with her from her time as a Fuse RI Fellow, she points to the consulting skills. This year, she is having conversations across her new district with individuals supporting all grade levels. Therefore, she must properly assess differing content needs, backgrounds, and skill sets to guide the conversations successfully. Luckily, she has a proven track record of approaching educators with tact and humility, unlocking the curiosity of potential naysayers, and pushing away from traditional preconceptions about what a library – and classroom – can be. 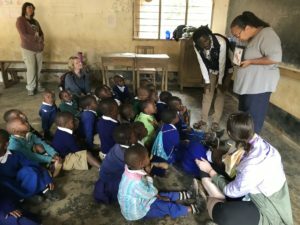 Last summer, she traveled with a group to Tanzania through the URI library program, supporting a school in the mountains by building computer desks and instructing students with her iPad. Darshell toured the public library and dug outhouses into the side of the mountain. About her time there, she reflects: “As a society, we complain about so much. The people I met don’t have many resources but they work together as a true community and help each other out.” This outlook certainly shines through in all Darshell does to enrich the physical learning environment and experience for her students and the state as a whole. Feeling inspired and want to learn more? Darshell will be presenting a session titled “How I’m Blending & Personalizing My… [Library/Studio/Gym]” at the 2019 Blended & Personalized Learning Conference on Saturday, April 6 at the Rhode Island Convention Center.